Beading Arts: Yay for Cynthia! 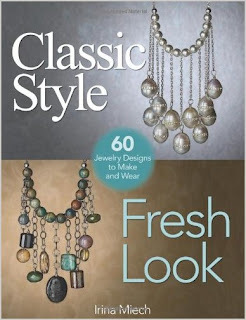 Cynthia, who writes Cynth's blog, is the winner of the book Classic Style - Fresh Look! Congratulations!! Thanks Cyndi! I actually have had this book in my various online shopping carts several times, but never pulled the trigger! I'm thrilled to win it!